Colour: Brown, Silver, Black, Grey, Gold. Give your home a feel of nature with this stunning art piece. 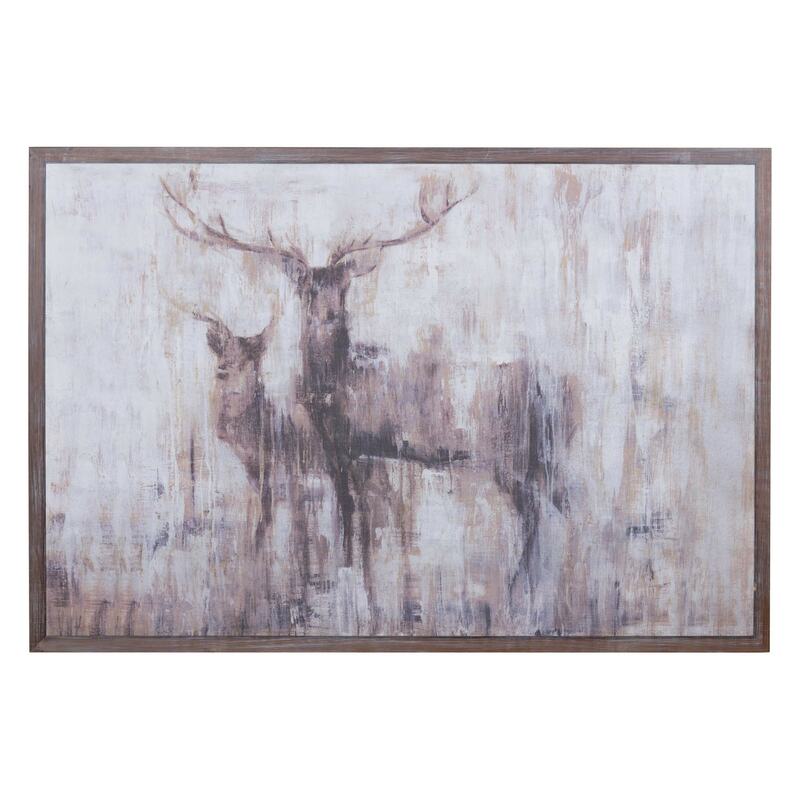 Featuring stags in the wild on a cement board, completed with a beautiful wooden frame. This piece will give any room a natural and relaxing feel due to the style the artist has used to paint this piece. Be ready to turn heads and impress with your purchase.